Women adore essential oils for something more than the wonderful scent. They are loved for the beautifying, anti-bacterial (and other) properties as well. 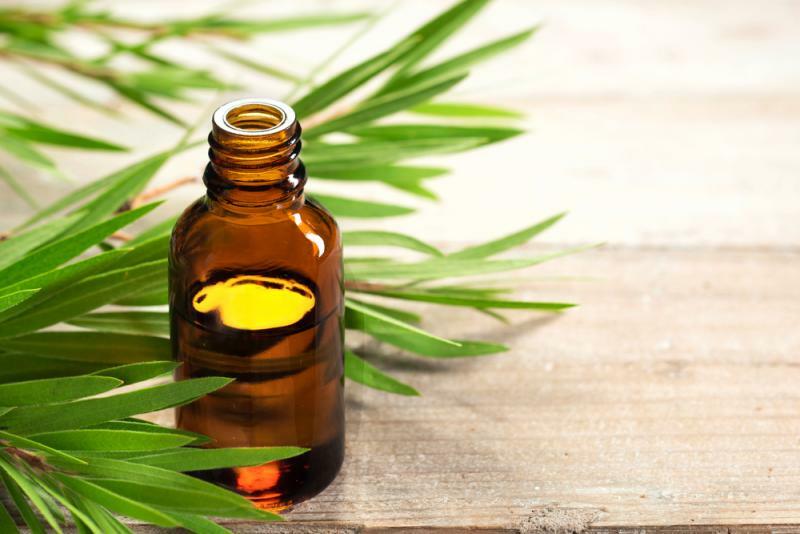 How does a tea tree oil work? Discover its 20 uses! The availability of healing and conditioning substances is growing year by year. Today, we can choose between hundreds of natural oils. Essential oils make up an interesting group. There’s a division of oils into the pressed oils and essential oils. The latter are quite notorious because they are extracted from plants through distillation or extraction. They contain only aromatic substances of a given plant instead of most nutrients. It is a common belief that essential oils are less valuable or even trigger skin irritation because of that. We can multiply the examples showing an impressive value of essential oils. Tea tree (Melaleuca alternifolia) is a small tree which is naturally grown in the regions of Australia and New Zealand. Where does the name come from? It was first used by colonists who started producing ‘tea’ using the plant – a healthy substitute of a well-known drink. The healing and conditioning qualities of this plant were discovered later. The production of the tea tree oil began recently. Native Australians used to smash the tea tree leaves and use it in form of a pulp. Now, the same leaves and twigs are used for extracting essential oil featuring over 100 different compounds (not all of them have been discovered yet). They are responsible for the way the oil works. Tea tree oil is a versatile cosmetic. It is most common in aromatherapy but it has far more benefits. What are these? Normalizing the work of sebaceous glands. These few benefits may seem unimpressive but you should remember that the oil works really strongly. For example, it has been proved that it is more effective in the treatment of fungus than clotrimazole ointment. That is why you can use tea tree oil in 20 different ways. Or even more! It fights acne because it is anti-bacterial. It reduces sebum secretion in oily skin. In scalp care, it nullifies itching and dandruff. It removes smelly feet problem. It works for fighting fungus, cold sore, angular cheilitis, etc. It removes lice and cures the symptoms. It strengthens immune system and helps fight diseases. It removes dental plaque and cares for the mouth. It refreshes breath when used as a mouth wash. It works as a substitute for fabric softeners thus reduces the risk of allergic reactions. It works as a repellent for mosquitoes and other insects. It alleviates mosquito or other insects’ bites. It relieves sore muscles and joints. It prevents hair and scalp oiliness. It disinfects open wounds or minor cuts. It makes wounds heal more quickly. It prevents the occurrence of scars (also acne or chicken pox scars). It has aromatherapeutic and relaxing power. It prevents hair loss, strengthening bulbs. Most oils are fit for external use and it’s the same for tea tree oil. Still, a reasonable use makes the best choice. After all, tea tree oil contains compounds that can irritate sensitive and delicate skin. You can minimize the effect by mixing the essential oil with a natural oil or a cosmetic. Thanks to the versatile properties, tea tree oil is a good choice in both beauty care routine and the treatment of some ailments. You can apply it to skin, hair and nails.